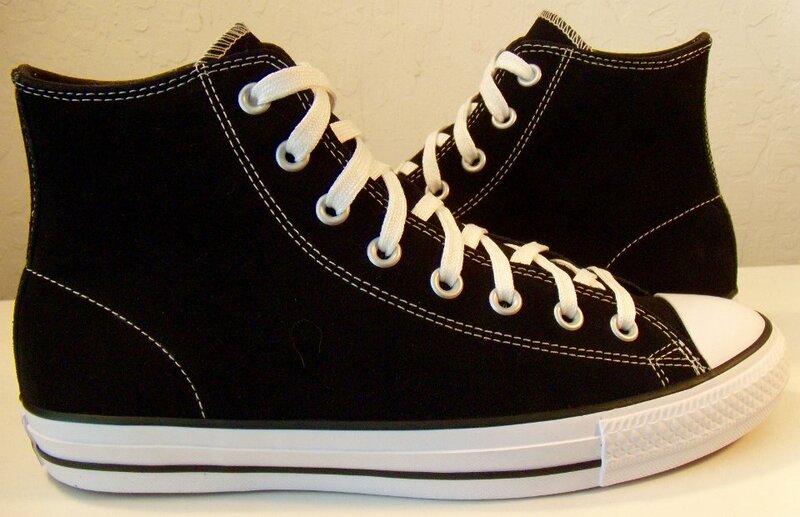 New pair of the CTAS Cons black high top designed for skateboarders. 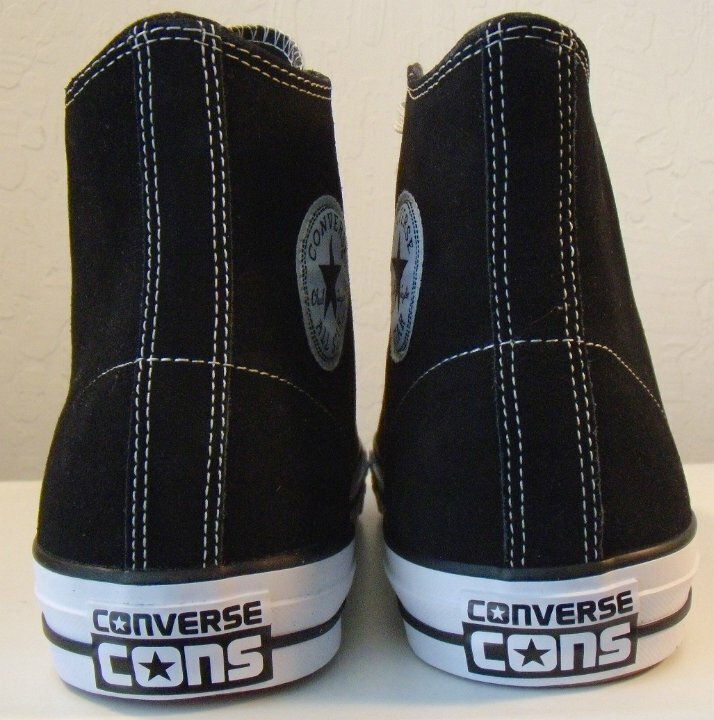 1 CTAS Cons Black High Tops Inside patch view of a right CTAS Cons blackhigh top. 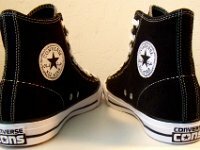 2 CTAS Cons Black High Tops Outside view of a right CTAS Cons black high top. 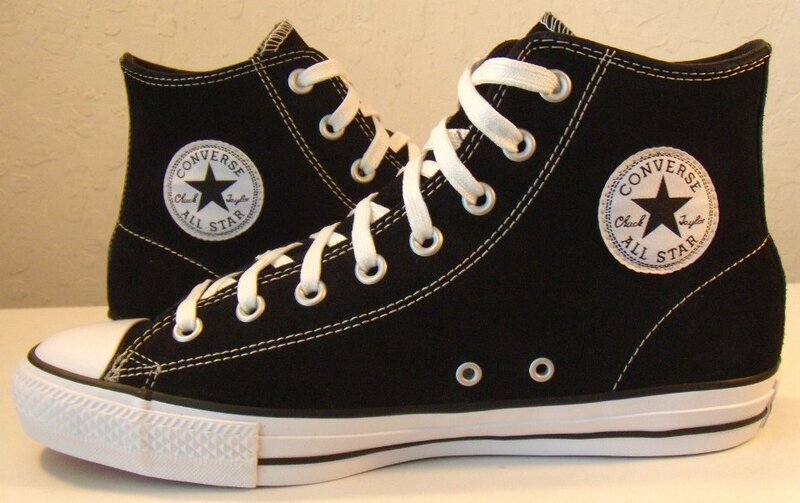 3 CTAS Cons Black High Tops Inside patch view of a left CTAS Cons black high top. 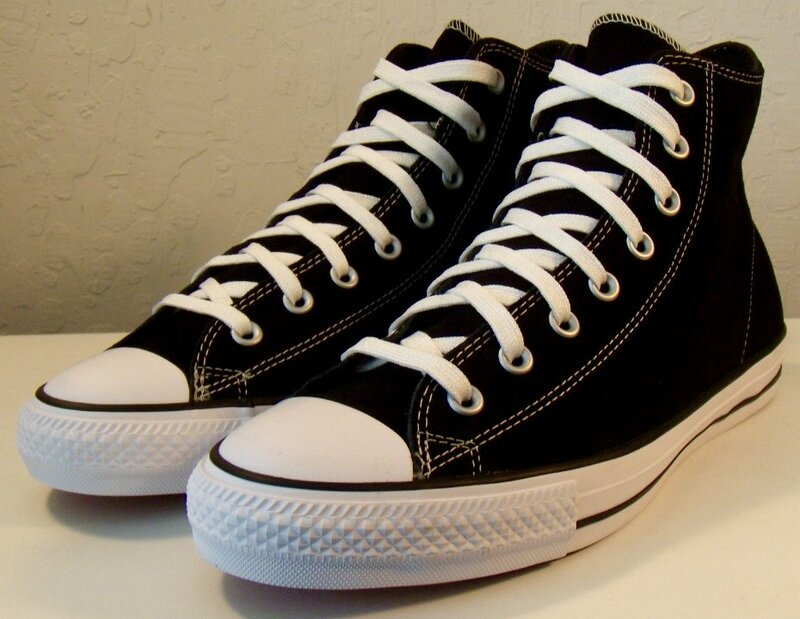 4 CTAS Cons Black High Tops Outside view of a left CTAS Cons black high top. 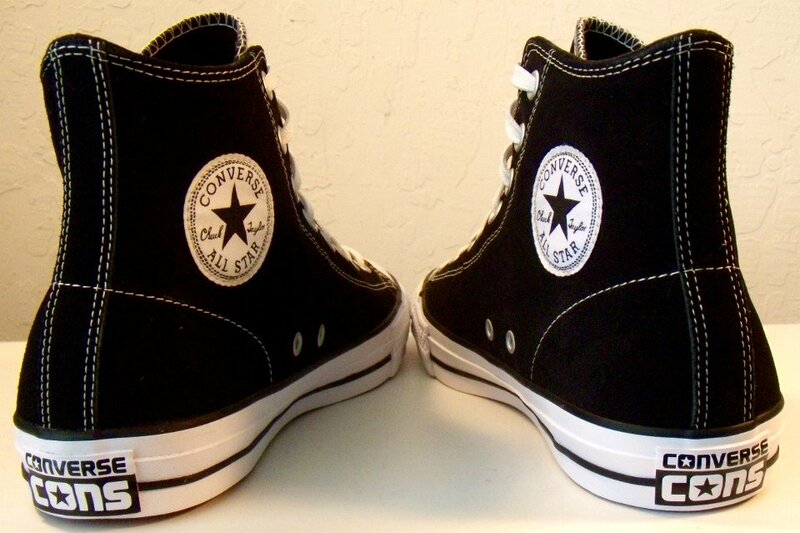 5 CTAS Cons Black High Tops Rear view of CTAS Cons black high tops. 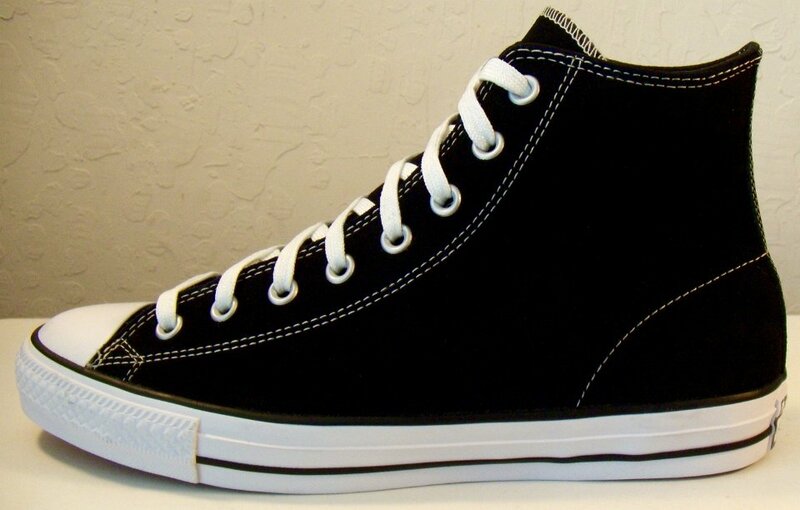 6 CTAS Cons Black High Tops Angled side view of CTAS Cons black high tops. 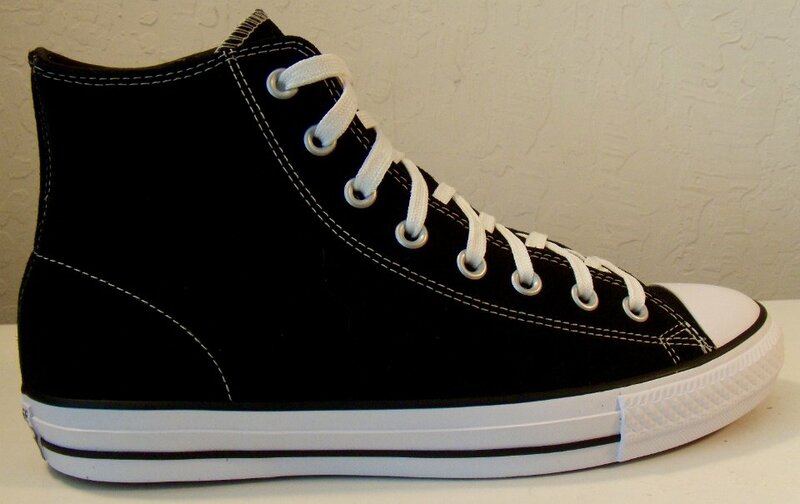 7 CTAS Cons Black High Tops Angled side view of CTAS Cons black high tops. 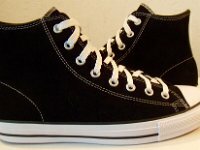 8 CTAS Cons Black High Tops Front view of CTAS Cons black high tops. 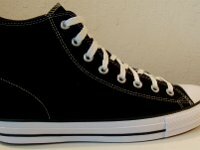 9 CTAS Cons Black High Tops Angled front view of CTAS Cons black high tops. 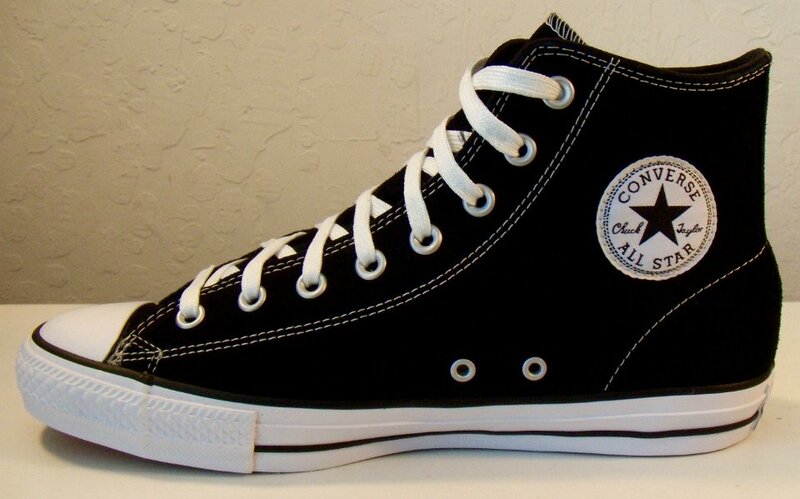 10 CTAS Cons Black High Tops Top view of CTAS Cons black high tops. 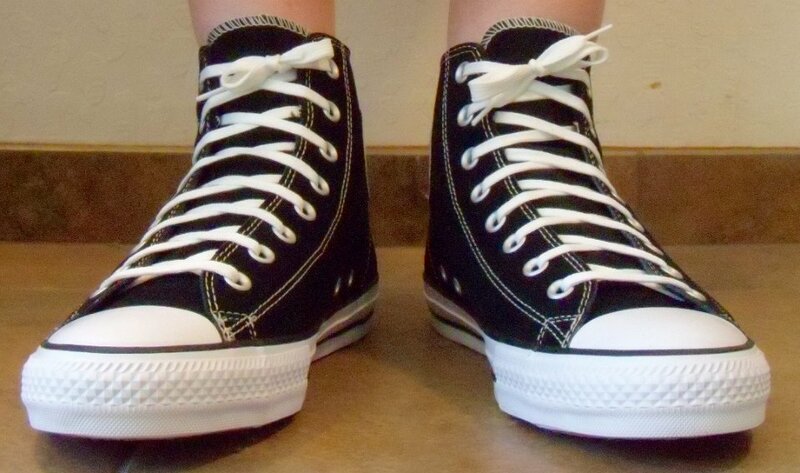 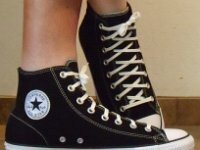 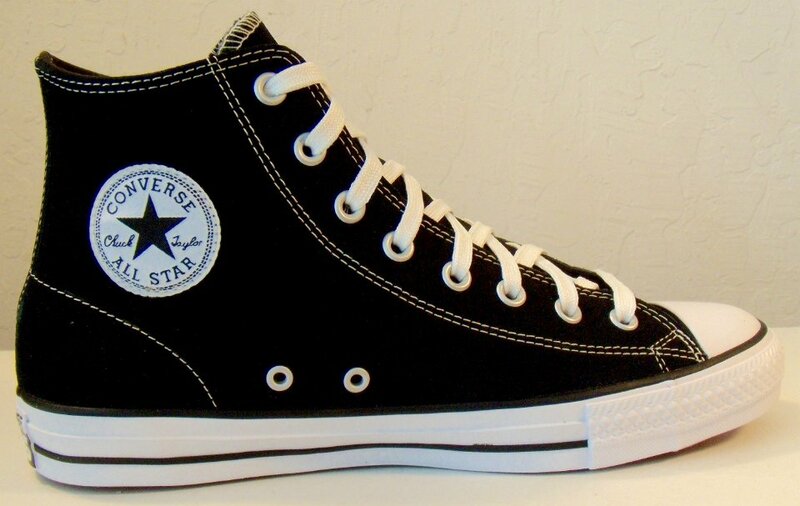 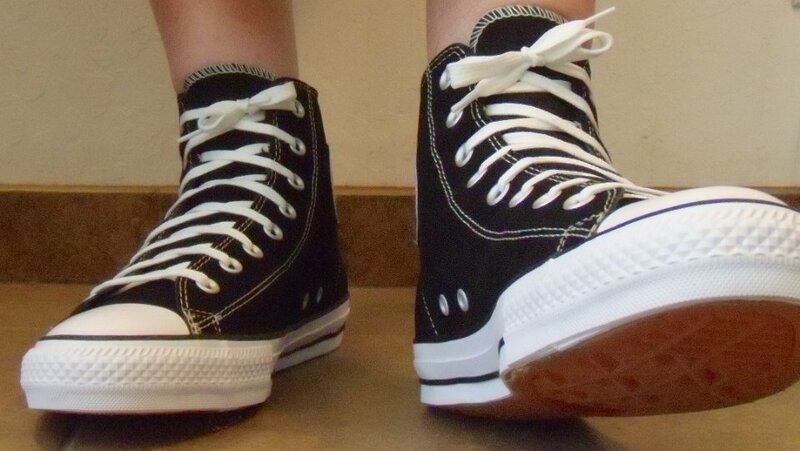 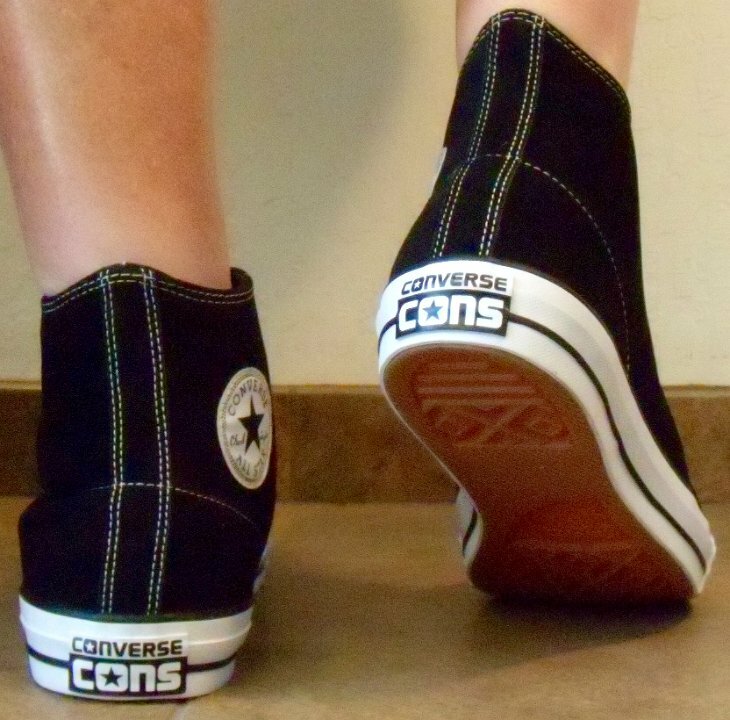 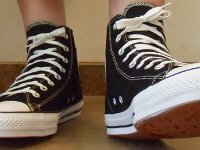 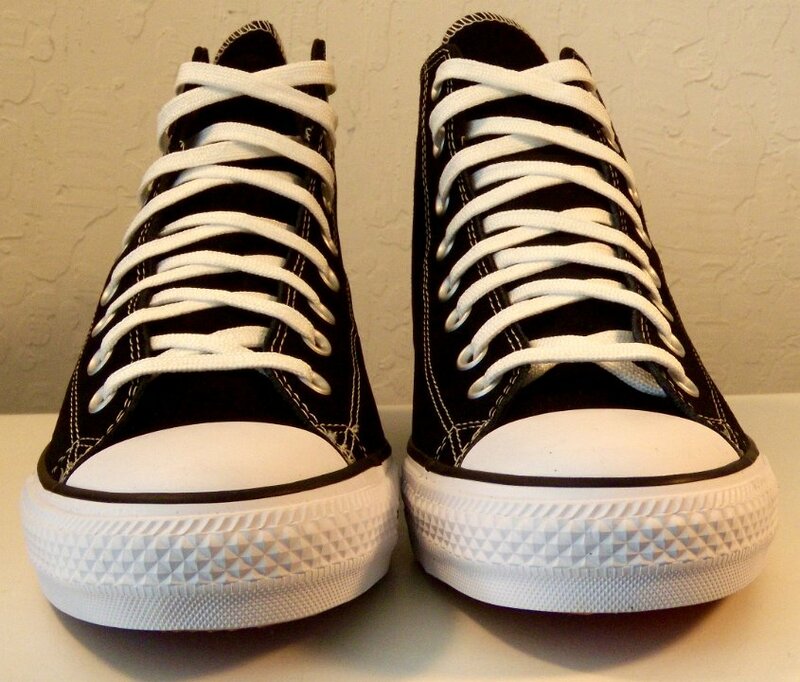 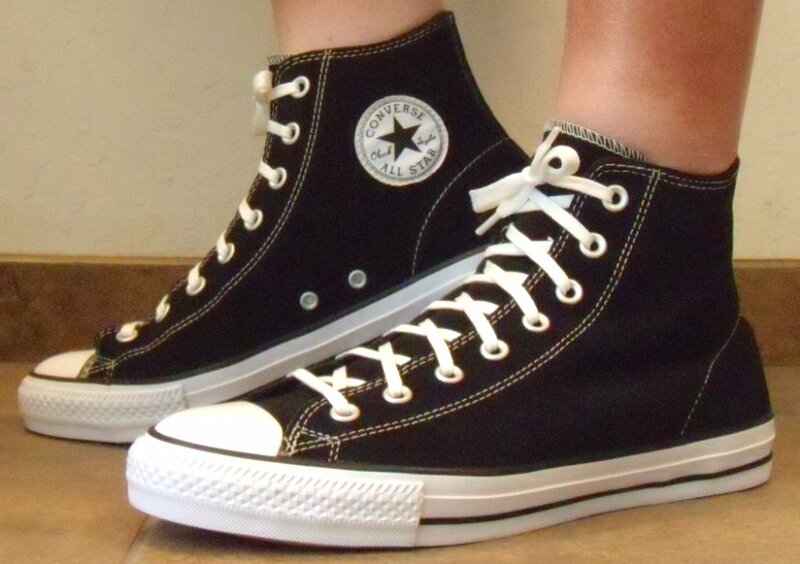 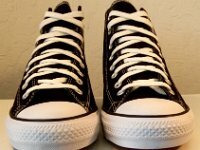 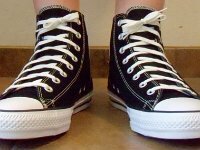 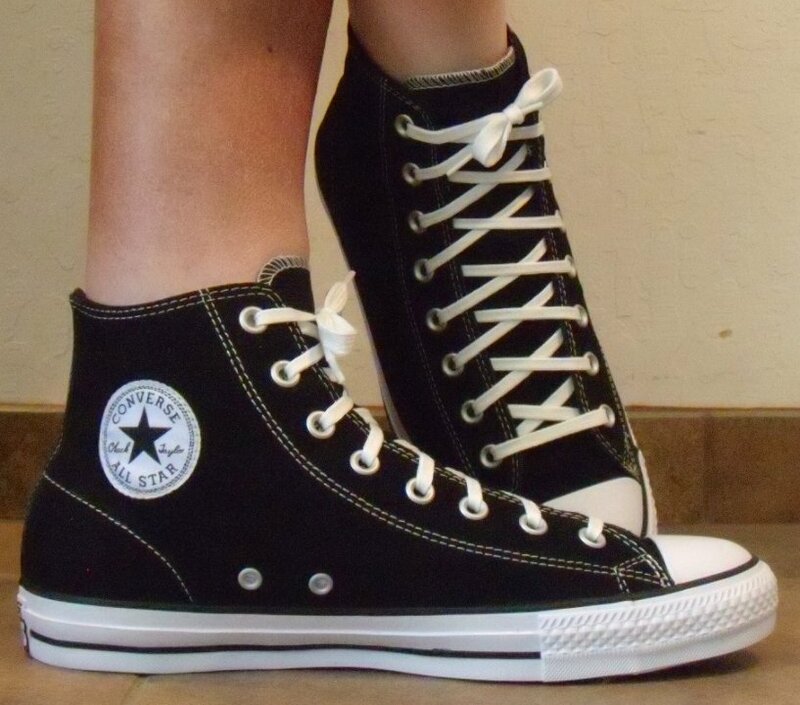 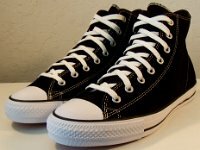 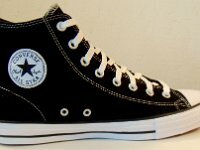 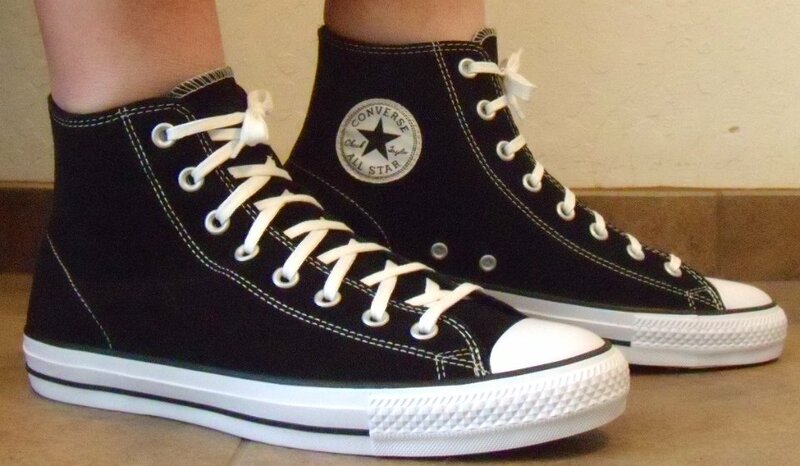 12 CTAS Cons Black High Tops Outside views of CTAS Cons black high tops. 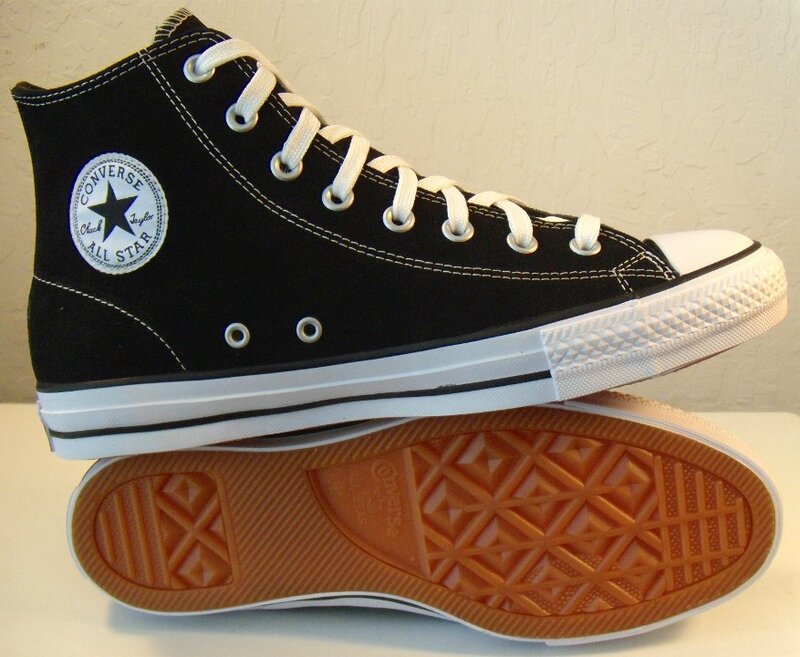 13 CTAS Cons Black High Tops Inside patch and sole views of CTAS Cons black high tops. 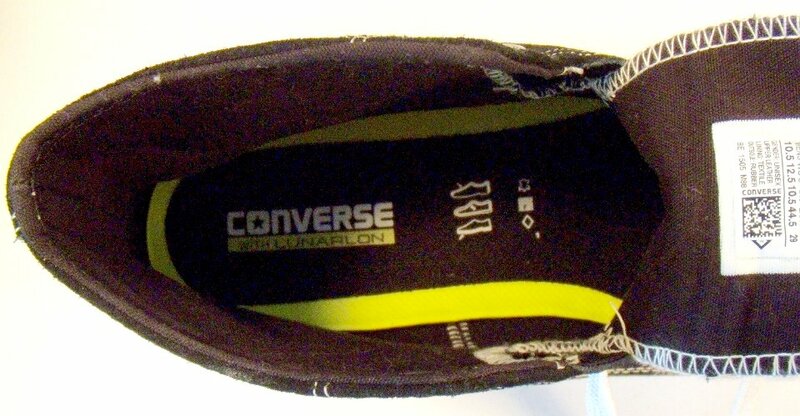 14 CTAS Cons Black High Tops Insole closeup view of CTAS Cons black. 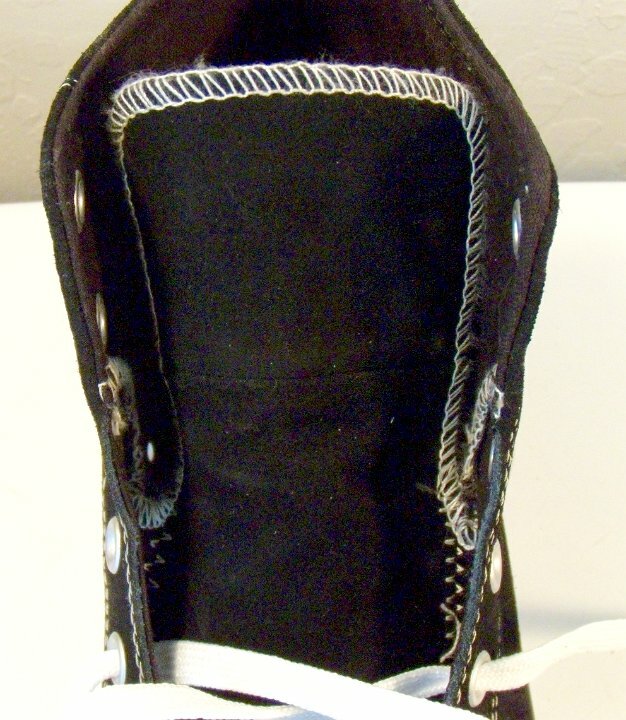 15 CTAS Cons Black High Tops Insole closeup view showing the extra stitching on the tongue of the shoe. 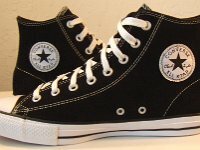 16 CTAS Cons Black High Tops Wearing CTAS Cons black high tops, front view 1. 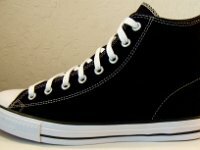 17 CTAS Cons Black High Tops Wearing CTAS Cons black high tops, front view 2. 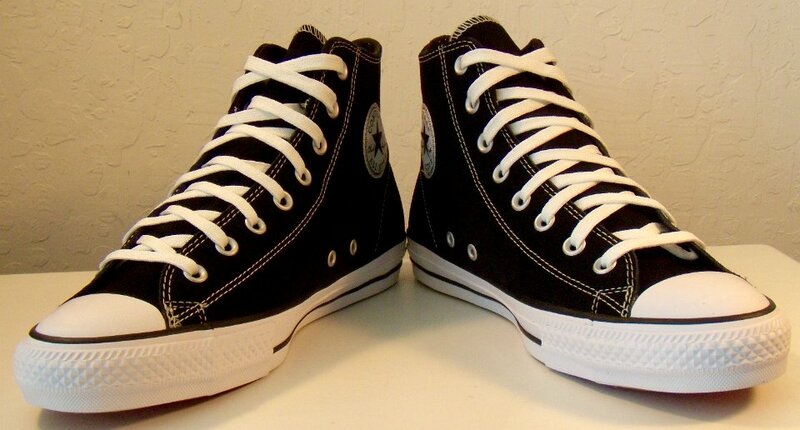 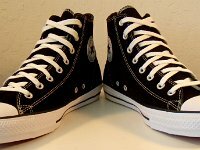 18 CTAS Cons Black High Tops Wearing CTAS Cons black high tops, left side view 1. 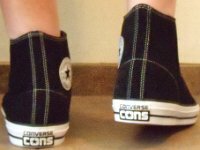 19 CTAS Cons Black High Tops Wearing CTAS Cons black high tops, rear view 1. 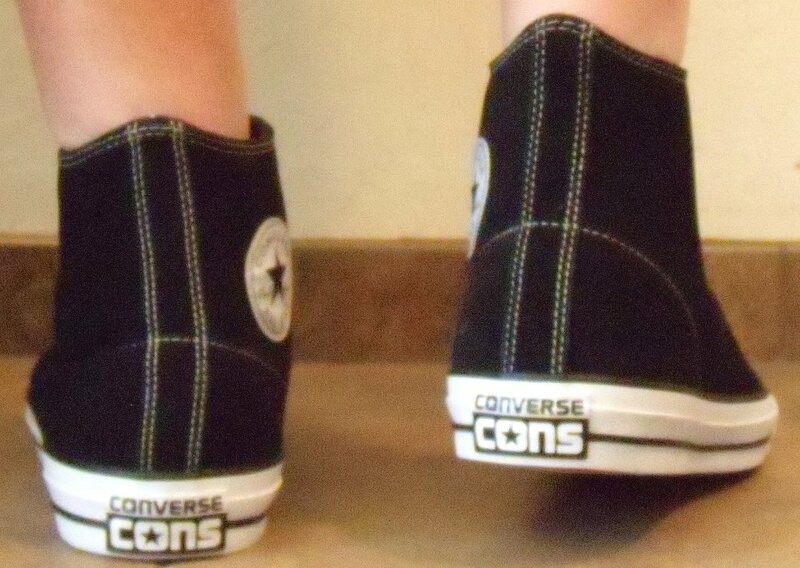 20 CTAS Cons Black High Tops Wearing CTAS Cons black high tops, rear view 2. 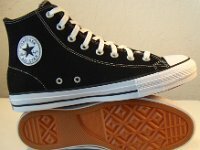 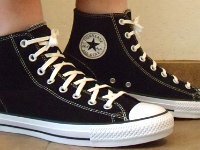 The Chuck Taylor All Star Cons black high top is a version of the classic chucks black high top meant for use by skateboarders. 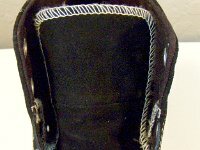 It features more sturdy construction that includes extra canvas attached to the tongue of the shoe and a insole insert that provides more padding. 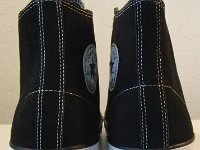 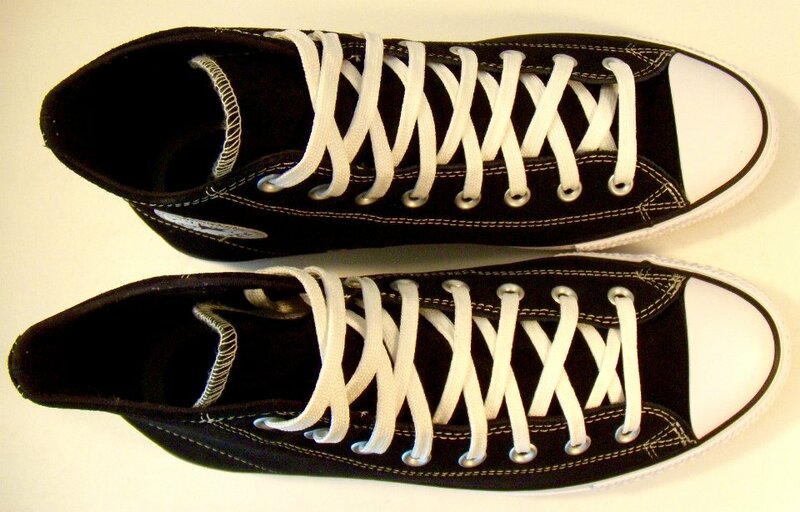 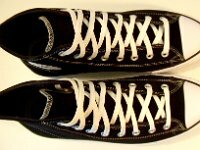 The stitching on the sides of each shoe shows the how the extra canvas is attached. 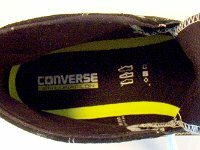 The sneakers also have gum soles. 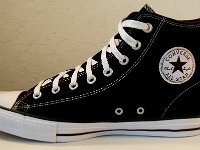 They also come in a low top model.